You have saved and planned and are looking forward to retirement. Now comes the question: Where should I retire? If there were one perfect spot to match the needs of every retiree, deciding where to settle would be simple. But no dream location fits every dream―and there are plenty of charming and comfortable options all over the map. 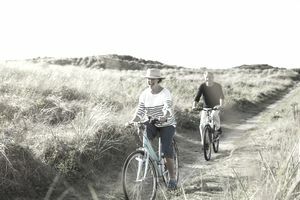 Regardless of your ideal, or your deal breakers, there a few key things to look for when deciding where to live in retirement. A generation ago, the primary concern for retirees seeking a new location was climate. Today, financial considerations weigh much more heavily. Low cost of living and housing costs are important to most of us, as well as factors that will ensure you can come out whole should circumstances change (upon the death of a spouse, need for a more hands-on living facility, or just a change of heart). Experts recommend seeking areas with populations greater than 10,000, as less densely populated areas may have lower levels of human services. The area should be growing and have qualities that attract newcomers, for example, natural endowments such recreational land, visible history such as landmark buildings and historic monuments, and a vibrant economy where people can find work. It should also have a low crime rate, and be relatively close to good retail shopping and a major media market. You may think you want to move away from civilization, but you can easily begin to feel isolated. With cultural, educational and recreational resources, as well as access to top-notch university hospitals, college towns are increasingly popular retirement destinations. Universities attract newcomers by design, and the towns that surround them often have better public transit systems and lower cost of living than other cities. Plus, they usually have the best rental markets in the country. You can acquire property before retirement and rent it to students. State capitals also often meet much of the above criteria and tend to be relatively recession-proof. For most people, taxes are another deciding factor. Currently, seven states (including Florida and Texas) do not have personal state income taxes, but another 20 (including Colorado, Georgia, and New York) offer favorable tax breaks on retirement income. Choosing an area with a smaller tax break but a lower cost of living or lower property taxes may put you ahead of the game. Regardless, focus on life planning over tax planning: where and how do you want to spend your days? If you don't answer that question first, low taxes will not necessarily make you happy. If many parts of the country seem appealing, get out and see them. Start years before retirement to visit up to five or six places. Once you have narrowed your choices to three or less, spend up to three weeks in each to carefully weigh the pros and cons of day-to-day living. Don't spend all of your time near the hotel downtown―instead get out and visit neighborhoods to get a sense of the people. Most importantly, do not base a decision on average home prices found on the Internet, which are often understated. Meet with realtors in the area to get a sense of actual home prices, and find someone committed to helping you find the right place. Of course, before making any decision, pre-retirees should first determine whether a move is necessary. For some, it may not be. According to the most recent population statistics from the US Census Bureau, 49 out of 50 people over 65 stay right where they are. If your current hometown is affordable, close to friends and family, and near activities and entertainment you most enjoy, why move for the sake of moving? Instead, consider whether the need for change can be satisfied through more frequent brief vacations, or by purchasing or an inexpensive weekend getaway home. Some pre-retirees opt to try a spot part-time, with a condo in the city and a house in the country. For those who have the means, buying a second vacation home during your working years can offer a pre-retirement trial period. Even better, rent the house out in high season and visit regularly in the offseason. This way you can make a little extra money and gauge the appeal of living there full time. Before making any decisions about where you want to live, it helps to do some research. Here's where to start. Population, economy, attractions and general information: Visit the site of the local Chamber of Commerce and Economic Development Agency to get a sense of the local economy and industries. Most towns also have visitors bureaus on the Web that will give you a sense of the population, quality of life and local attractions. Climate: If you really want to geek out on climate data, check out the interactive climate data tools from the National Climatic Data Center (NCDC). Cost of Living: The Council for Community and Economic Research uses data from its annual cost of living index to power a handy cost of living comparison calculator. It measures the cost of living in more than 300 urban areas. Crime Rates: The FBI's annual Crime in the United States: Uniform Crime Reports can give you a helpful overview of crime in all but the smallest American cities and towns. You can also easily access local crime reports once you've narrowed your search. Health Care: U.S. News publishes a guide to the best hospitals with a database you can search by location and/or specialty.